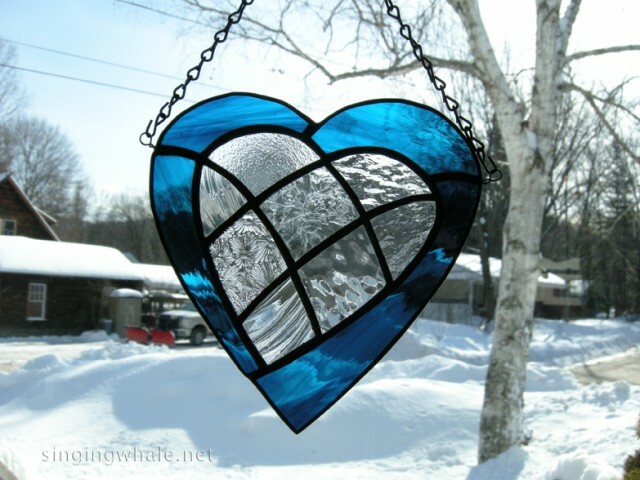 This outer heart in this piece is steel/sky blue wispy waterglass. 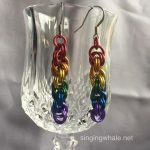 I have also made it with red, green, and purple outer hearts. The inner heart is formed from 8 pieces of different clear glass textures. The entire piece measures about 5 7/8″ wide by 6″ long. Hanging chain is included, and the cost is $30. If you would like a heart of this pattern in any color, let me know. This is just one of several heart patterns that I make so I invite you walk through the gallery to see the others. There are versions with different numbers of pieces or color schemes, and also ones on which I can attach a wire word. This entry was tagged heart.